If you are searching for a drug detox program for men which offers exemplary care and services, you have come to the right place. We focus on providing a safe and nurturing environment for the process of drug detoxification. The process of clearing the body of drugs is dangerous; no one should go through detox alone. The process of attempting a cold turkey drug detox is a very scary and bewildering experience for an addict. There are important medical aspects of the withdrawal period, no matter the drug of choice, that must be monitored closely by a team of skilled medical staff. Addiction is a disease of both the mind and body. The decision to get clean is one of the most courageous decisions an addict can makes. This is the first step in a lifelong journey of living drug-free. Proper drug addiction detox is a crucial step for your success. Because knowledge is power, we believe in keeping our clients informed about what they can expect when they make the decision to stop using drugs. The beginning stages of detox can be overwhelmingly intense. Once the cravings present themselves, it can be very hard to remain focused on your goal of living a drug-free life. We have trained medical and psychiatric staff on hand who are educated on the process of detox and are ready to help through this first phase safely and effectively. Each person and their story is unique. When a person decides to stop using drugs their experience will likely be different than another person’s, who also made this same life-changing decision. Nevertheless, the symptoms of withdrawal do share many commonalities. However, there are many factors that contribute to the severity of the symptoms and the length of time one can expect to experience the symptoms. The His House drug detox center for men will be able to accurately assess the information provided throughout your intake process to determine the ways in which your personal detoxification process should progress. These symptoms can strike fear and doubt into the hearts and minds of addicts. Above all else, we want you to know that you do not have to experience any part of this alone. We know the looming mountain in front looks like an impossible climb. We wish to assure you that not only is success possible, the process of ceasing drug use can begin the most rewarding experience of your life. You are more than capable of overcoming addiction and we will be with you every step of the way. Our caring and supportive staff is here to guide with knowledge and expertise on how to detox safely and enter the recovery process in earnest. We do not believe in making promises to our clients that are “too good to be true”. We know that with the right combination of professionalism, support, guidance, and education that a drug-free life is possible for men in the throes of addiction. You do not have to feel hopeless or helpless any longer. Call us today for an assessment. Your success is our goal! We employ proven and safe methods to help you begin the greatest journey of your life. We would like to take this time to say a few words to the family who is suffering due to the addiction of a loved one. There is help available. If someone you love is trying to stop using drugs and they cannot seem to get a handle on it, we want you to know that it is not their fault. Addiction is a powerful disease that must be treated medically, emotionally and mentally. If you have any questions, please do not hesitate to call us today and speak to one of our trained staff members about we can help. 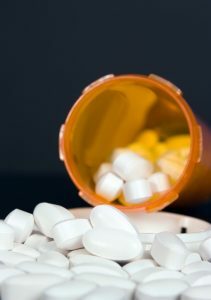 We offer inpatient drug detox as well as outpatient drug detox. Our staff will work with you in determining which option best fits your individual needs. If you have been using drugs and are thinking about stopping, then entering the His House drug detox program may be the best solution for you. If you have found that you are unable to stop on your own, even though the desire is there, there is hope and help available! We specialize in the treatment and recovery of addiction.